May you find a pentax under your tree! Merry Christmas to all Forum members! Happy Christmas and a peaceful New Year to all. Thank you, Adam, for your continued support of the international Pentax community, and likewise to all contributors here. 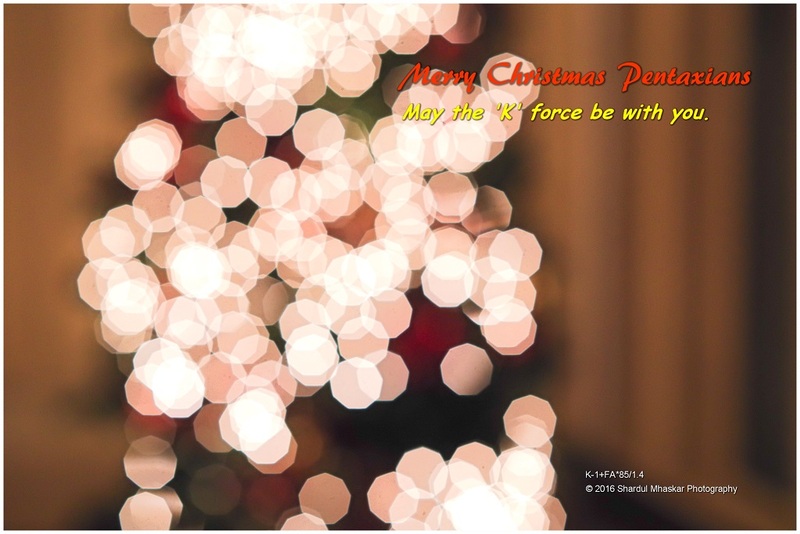 "Seasons Greetings to you and yours"
Happy Christmas and thanks for the wonderful community and resource that is Pentax Forums! Merry Xmas to all, and we look forward to hearing all the Pentax stories in 2017. To all members ( even the ones where we haven't seen eye to eye !! ), all the staff, Mods, and lurkers, I wish you all the 3 H's for 2017 and beyond. Happy and safe New Year. Merry Christmas to all the wonderful, talented and generally nice forum family.